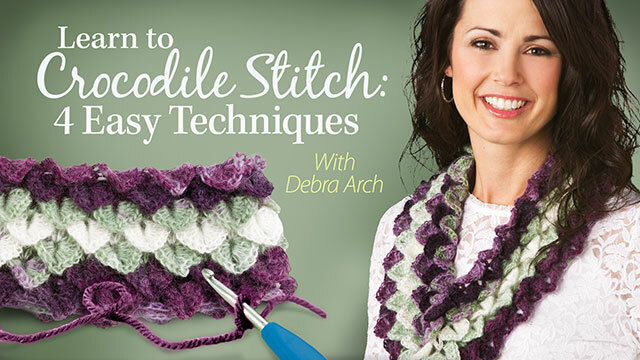 Debra Arch has published hundreds of crochet, knitting, hand-applique, machine sewing, quilting and needlepoint on plastic canvas designs in various publications over the past 15 years. 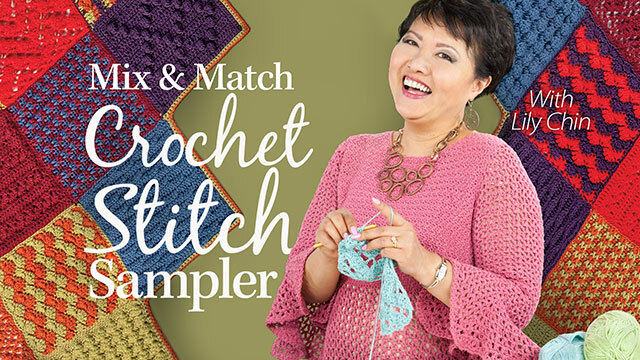 She has authored 10 pattern books for Annie's, she crochets and knits designs for Annie's Hook and Needle Club, and she is a frequent contributor to Crochet! and Crochet World magazines. 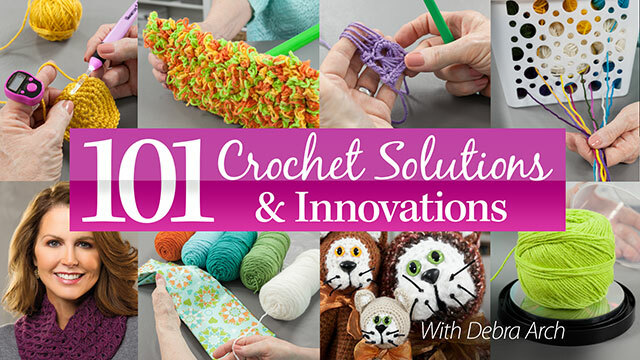 Debra has a talent for developing new tips and tricks, which she shares with her students to simplify techniques, making their crafting experiences easier and more fun! 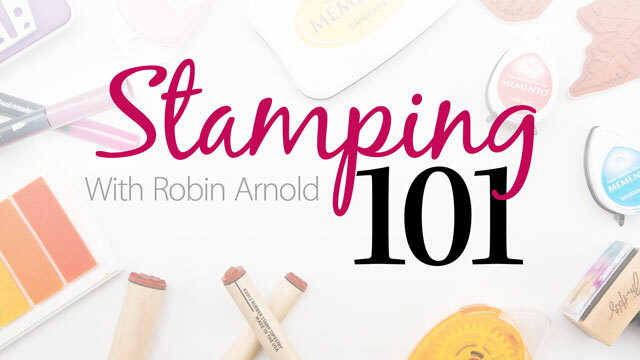 Robin got hooked on stamping after attending an in-home stamp party, soon followed by attending her first convention. She was shocked at the plethora of supplies and different techniques that could be accomplished with them! Luckily for us, Robin hasn't looked back since and has designed literally thousands of stamped cards to share with friends and family over the past decade. She is active in numerous national and international stamping groups and guilds. Kate is a professional technical editor and a seasoned designer and teacher. Her first book, Beyond Knit & Purl, has been praised as the 21st century "Knitting for Anarchists" book, and her second book, Knit Accessories: Essentials & Variations, was published in late 2012 to great acclaim. 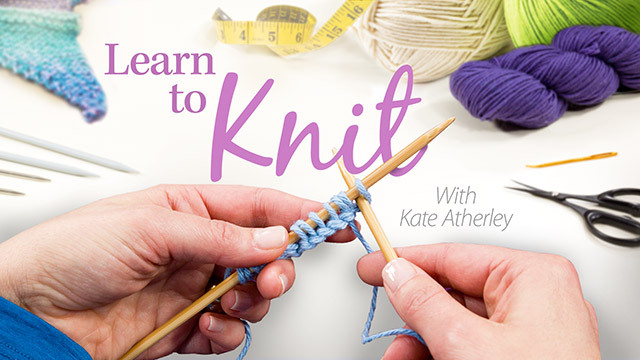 Kate regularly teaches at stores and events across North America, including Vogue Knitting Live and Interweave Knitting Lab. Her work has appeared in Creative Knitting magazine, Knitty, Interweave's Sockupied, the U.K. magazine Let's Knit and a wide range of books. See more of her work at www.WisenHeldaKnits.com. Kelsey Baird is the editorial assistant for Country Sampler’s special home decorating publications. 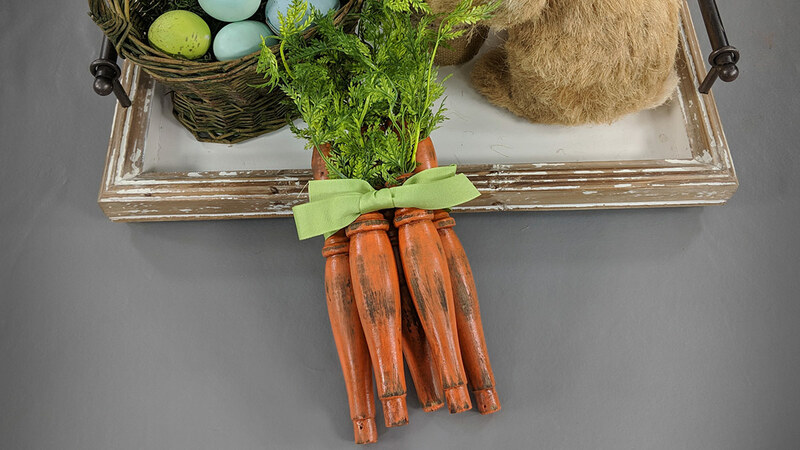 Inspired by the creativity and talent of the Country Sampler team and other crafters at Annie’s, Kelsey enjoys repurposing and creating unique home decor pieces. 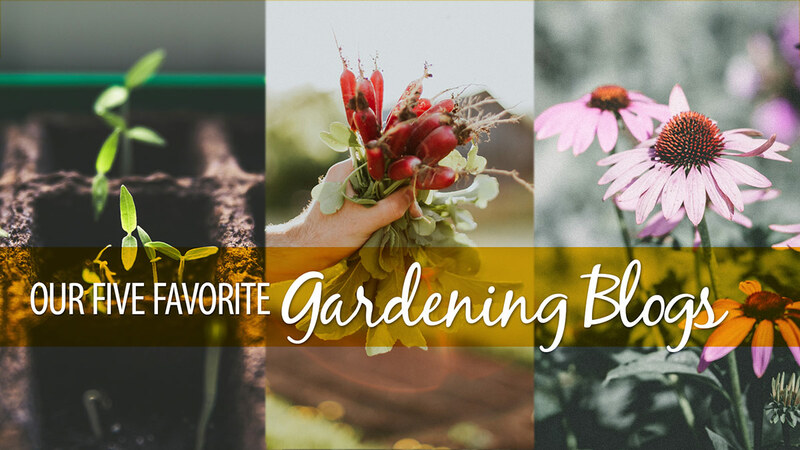 She has also recently taken up gardening and is excited to get creative with her small space! Always partial to the delicate beauty of tatting, Janette has a passion for sharing her love of tatting with others. Her desire is to elevate tatting to the true art form she believes it deserves. From her own experience of learning to tat, she realized the need for clear, precise instructions. In addition to having taught hundreds of private students, she has also taught classes at her local college, quilting shop and Michael's Arts & Crafts store. See more of her work at www.LearnHowToTat.com. Brett Bara is the founder of Brooklyn Craft Company. 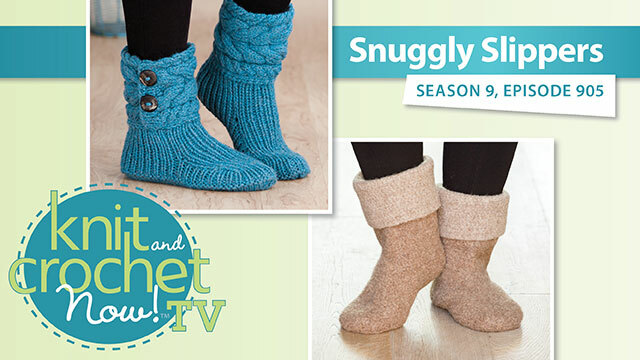 She designs, writes, sews, bakes, decorates and has experience as a television personality. 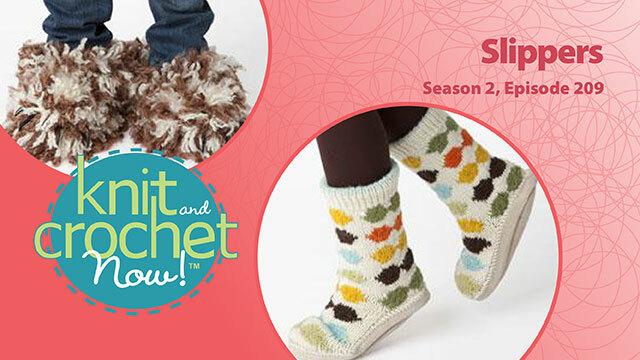 She hosted seasons 1 through 6 of the Emmy-nominated television series Knit and Crochet Now! 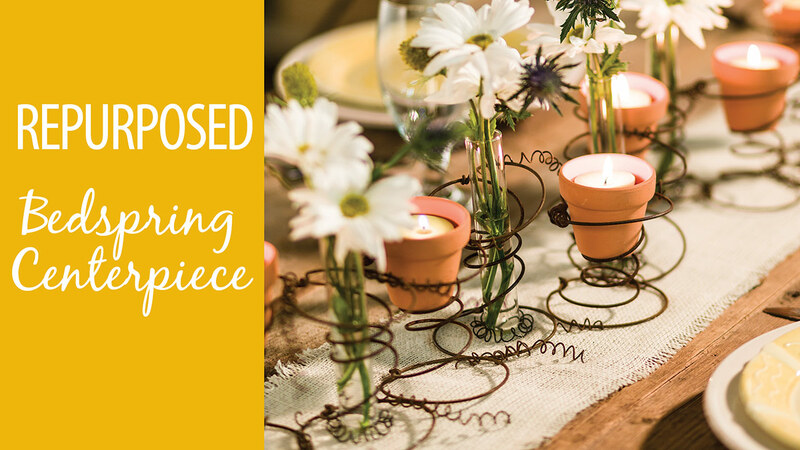 Alli discovered quilling when she saw a co-worker's beautifully quilled wedding invitation in a frame. She taught herself how to quill and even cut her own strips of paper. When she became a stay-at-home mom in 2002, she and her husband turned her unique quilled designs into an online business, Quilled Creations www.quilledcreations.com. Quilled Creations has become the world's leading supplier of paper quilling products. 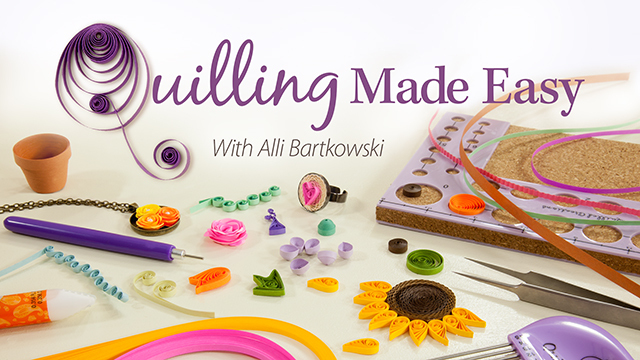 Alli has been published in many magazines and is the author of numerous quilling books including Paper Quilling Kit for Dummies (2009), Quilled Flowers: A Garden of 35 Paper Projects (2012) and Quilled Jewelry (2013). Molly Beals is an advertising account manager at Annie's Publishing. She manages print and digital media marketing opportunities. 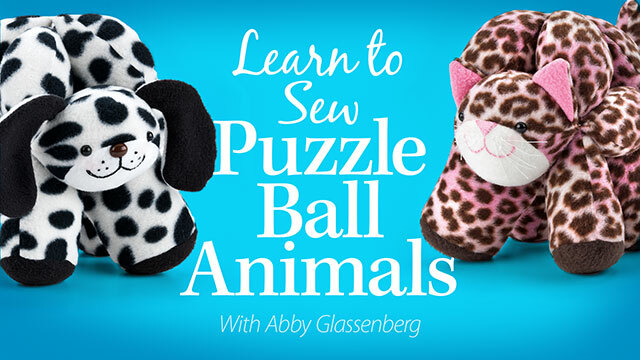 Her love of handcrafting started at the young age of six when her aunt taught her how to embroider, knit and crochet. Later in life she picked it back up when she had two children. Inspired to make items for her kids, family and friends, she picked up the needle and thread again and hasn't looked back! Creating heirlooms and preserving memories for others has become a passion, and she loves to share her journey! 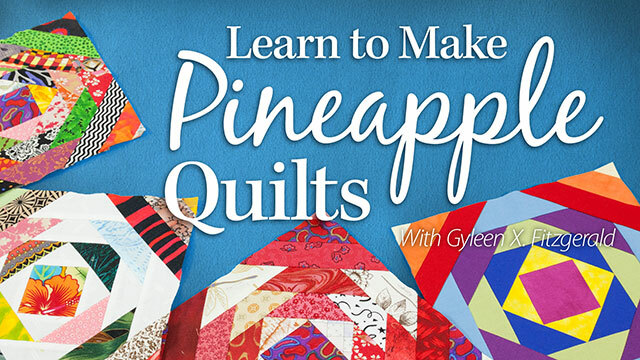 Peggy Benjamin was a hobby quilter at one time with a career in corporate marketing and brand management. Today she owns and operates a small quilting supplies online shop. 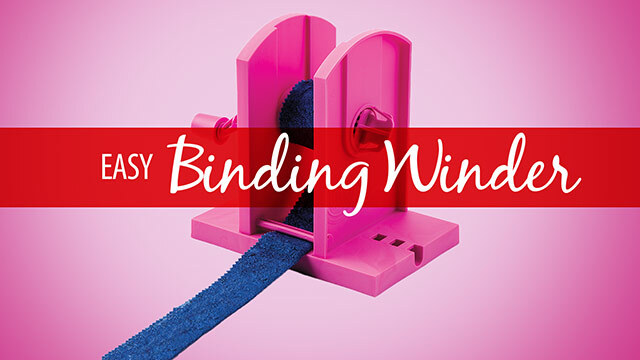 Peggy and fiance Rex Moreland created the Easy Binding Winder to meet Peggy's need for better binding management. 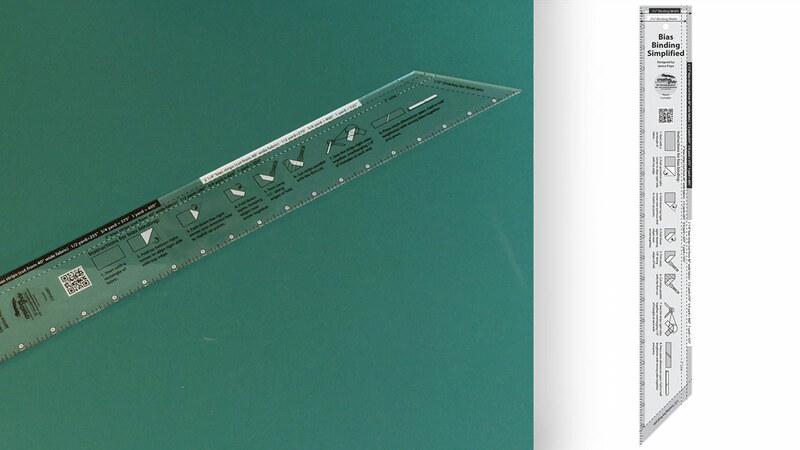 Peggy understood the problem and Rex designed the prototype. When her quilting friends saw the winder, they wanted one too, and that's the beginning of the story of the Easy Binding Winder. 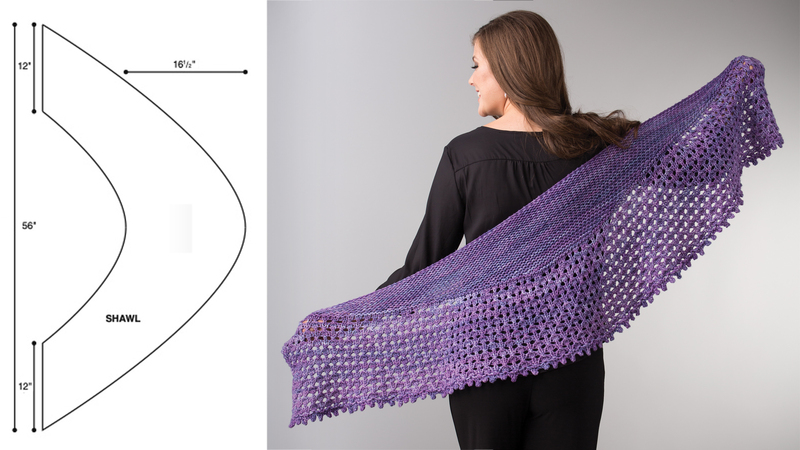 Marly Bird is the national spokesperson for Red Heart Yarns and a published crochet and knitting designer. She is also an author, teacher, podcaster and blogger. 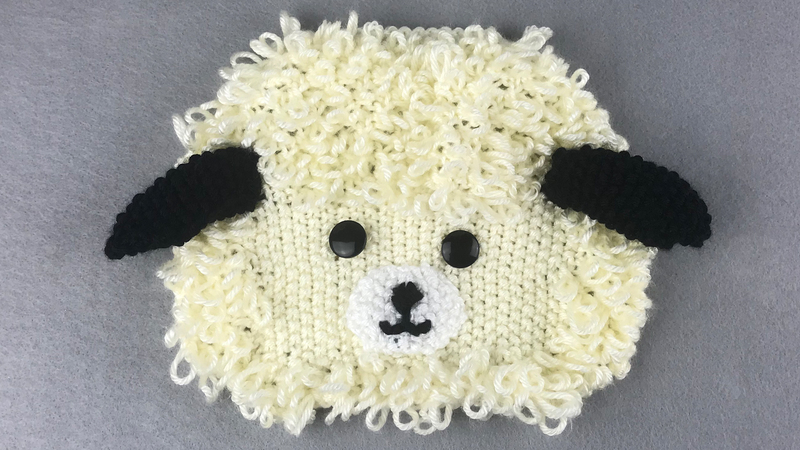 Throughout the year, Marly travels the country teaching at national craft consumer shows and shares the love of Red Heart (including her new line called Chic Sheep by Marly Bird™) with her followers. 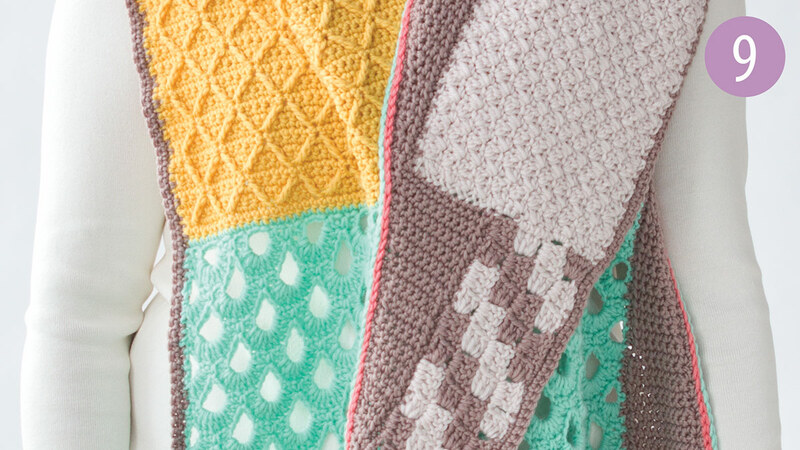 Marly's grandmother taught her to crochet in 1999, and a close friend taught her to knit in 2004. 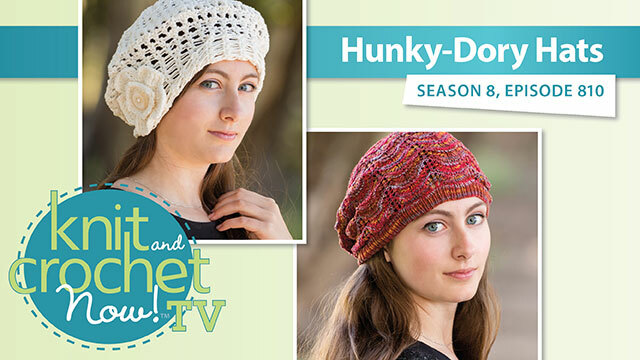 Marly found her calling in the yarn industry and had her first designs published in fall 2008, and she has not looked back. 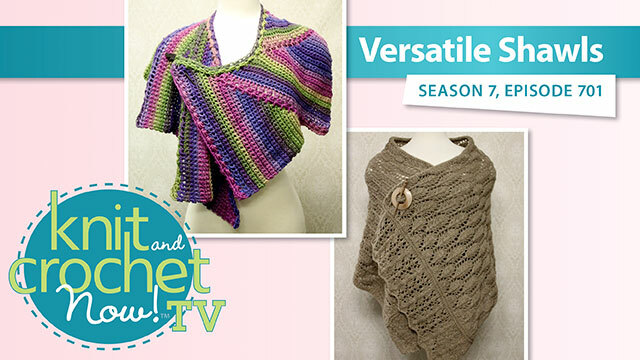 You can find many of Marly's designs at www.redheart.com and follow her video tutorials on her YouTube channel at www.youtube.com/marlybird. Nancy Borsodi is a designer and photo stylist for Country Sampler's special home decorating publications. 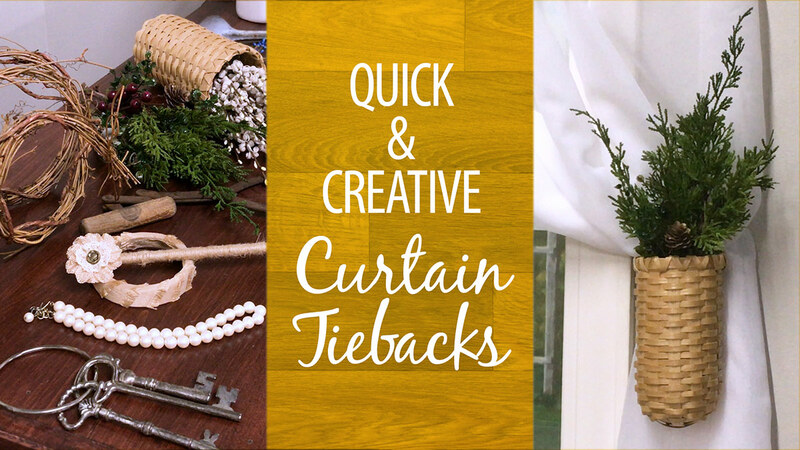 Nancy loves to create home decorating projects and ideas for others to incorporate into their own homes. 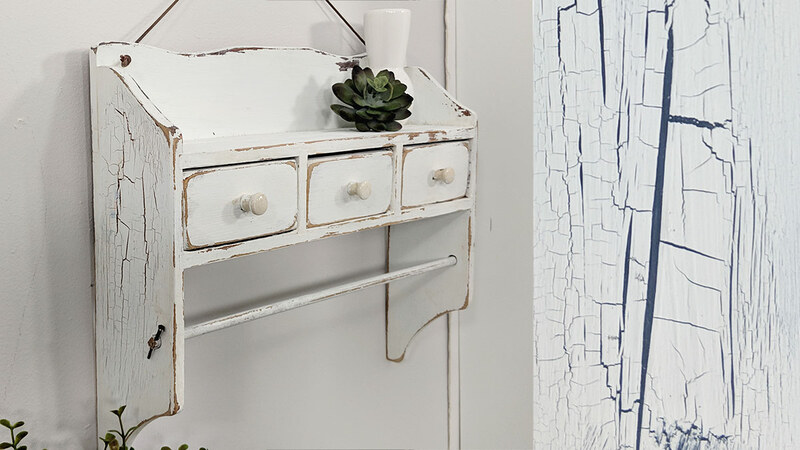 Whether it's repurposing a piece to give it new life or creating a project from scratch, Nancy designs each idea with today's trends in mind. As a photo stylist, Nancy strives to bring those projects and ideas to life through inspiring images and room scenes. Nancy has worked with the Country Sampler magazine for more than 18 years on various publications, both for consumer and trade, putting her skills to use creating DIY home decor and craft projects, incorporating inspiring home decorating ideas into various rooms, and fashioning unique retail props and visual displays. Nancy spent more than 16 years in visual display and design, merchandising and management in several retail environments. 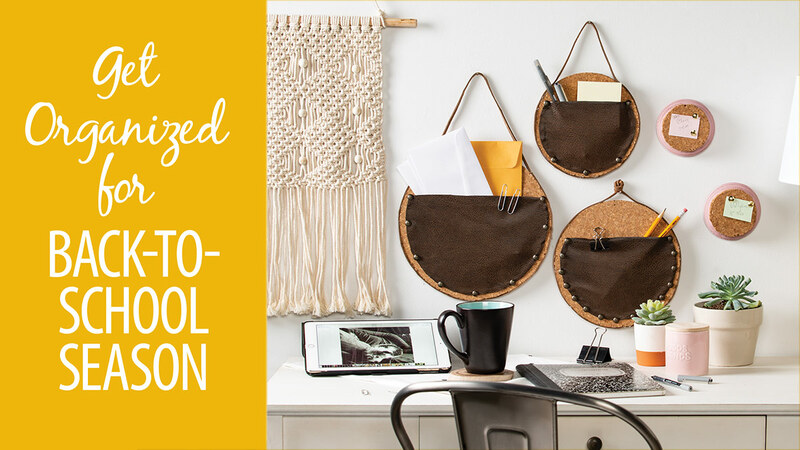 Her background in retail and visual merchandising as well as her current work in design and photo styling helps fuel her passion for creating and presenting unique and trend-inspired home decor. 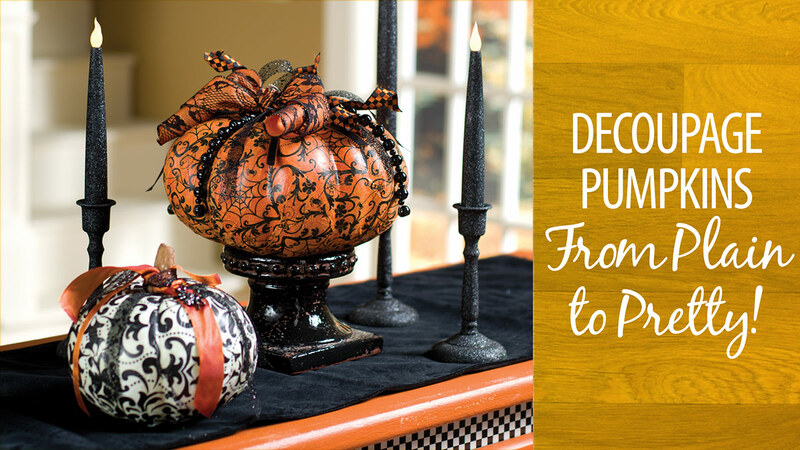 Creative Living: Decoupage Pumpkins From Plain to Pretty! 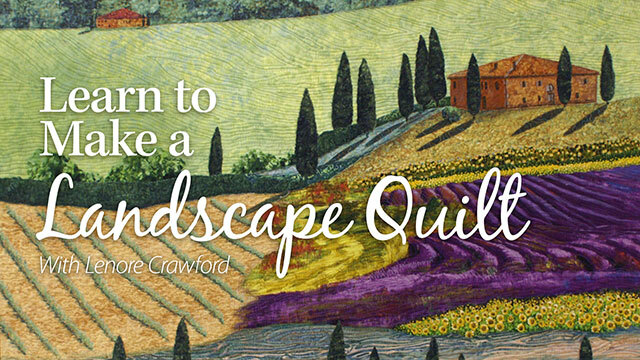 Debby Brown's website summary describes her as a "designer and quilt enabler." 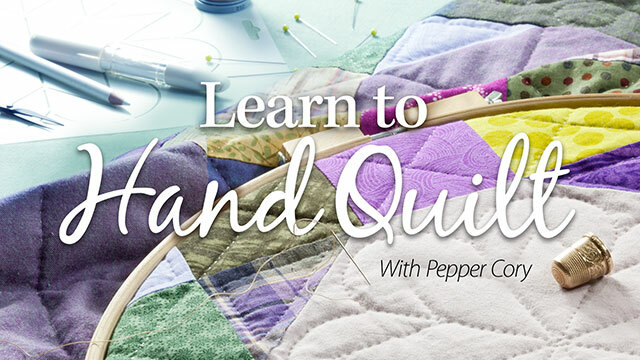 Debby has been a Handi Quilter educator since 2005 and has inspired quilters all around the globe. 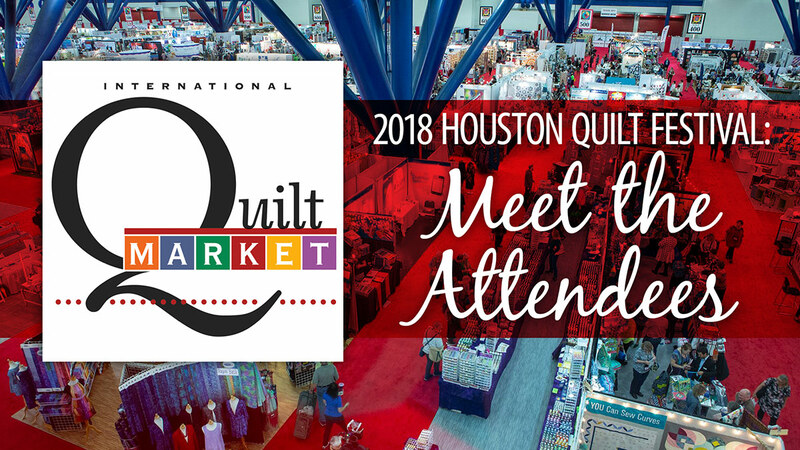 In addition to teaching at retail shop events and guilds, Debby teaches at major quilt shows nationally and internationally, including International Quilt Festival (Houston), Australasian Quilt Convention (AQC), International Quilt Show Dubai, and American Quilters Society (Lancaster, Phoenix). 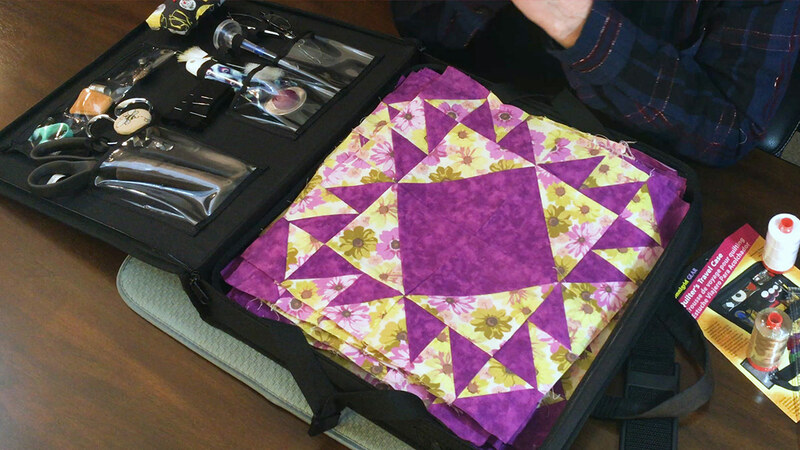 She recently filmed a series of DVDs about sit-down machine quilting featuring the HQ Sweet Sixteen®. Since Debby began quilting in 1986, she has completed several thousand quilts for herself and others. When not busy teaching, she is constantly creating in her studio in upstate New York. She and her husband were just promoted to "grandma and grandpa" and are very enthusiastic about their new roles! Find out more about Debby at www.debbybrownquilts.com. By the time that Debbie graduated from college, she had already become an expert craftswoman. She used her paycheck from her first job to buy a brand-new sewing machine. A few years later, she bought a quilt shop and became a local teacher. 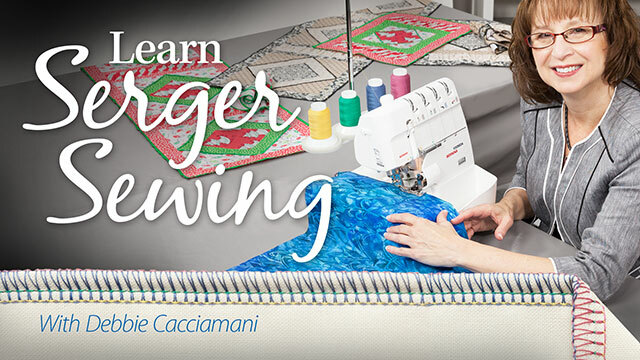 Her quilting and sewing teaching talent was recognized by Bernina, and she was subsequently hired to teach the teachers and train local store owners and staff how to use all Bernina machines. 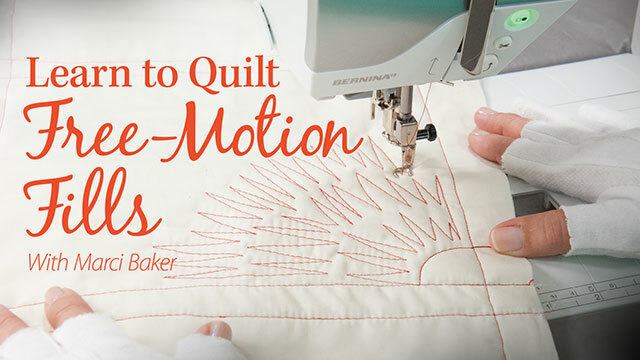 As a Bernina representative, Debbie demonstrates how to sew, serge, quilt and embroider, and she inspires her students to try their hand at innovative techniques. Jennifer Carroll is a noted entertaining expert, photographer, designer, writer and contributor to special decorating issues of Country Sampler magazine and is also the host of www.celebratingeverydaylife.com. She is passionate about sharing recipes, decorating ideas, DIY projects and easy-to-implement tips to help make life sweeter and less stressful. 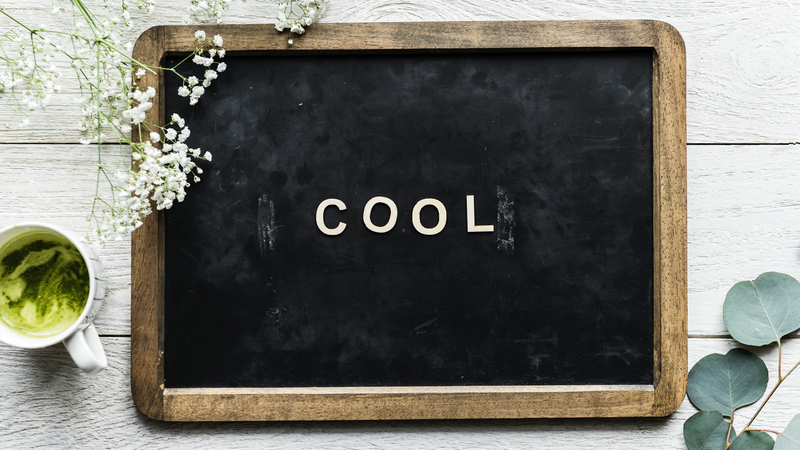 As an event planner with more than 20 years of experience, Jennifer knows all the insider tricks and tips for turning a party into a celebration. "Beauty is inspiring and my ambition is to create as much of it as I can and share it with the world around me," she notes. As a young adult, Jennifer worked as a model, and as a result was often invited to glamorous New York City parties, but rather than mingle with the elite, Jennifer often chatted with those behind the scenes to find out what made the parties absolutely sparkle. After modeling, she moved to Los Angeles where she worked at Davidoff of Geneva in Beverly Hills. At Davidoff, she organized and hosted countless celebrity dinners and special events. 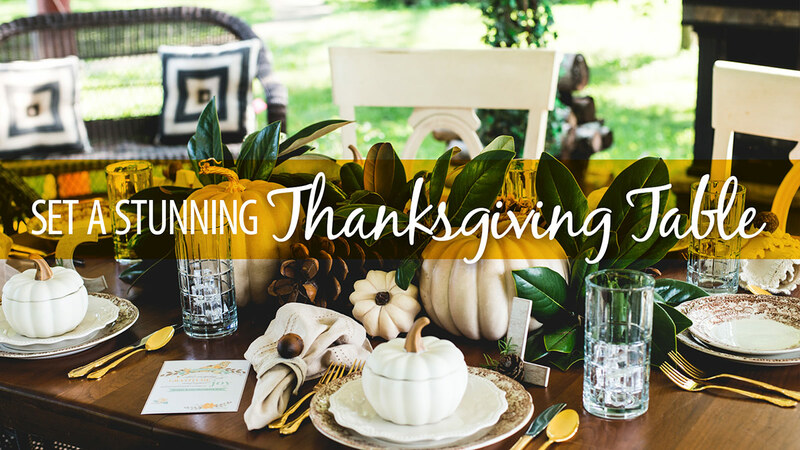 Missing the South, Jennifer moved back to Virginia and soon opened her own design and planning company, Jennifer Carroll Events. Her work received national attention and was featured in many magazines and websites. When her daughter was born, she stepped away from the event planning world and founded CelebratingEverydayLife.com, a blog and online magazine. 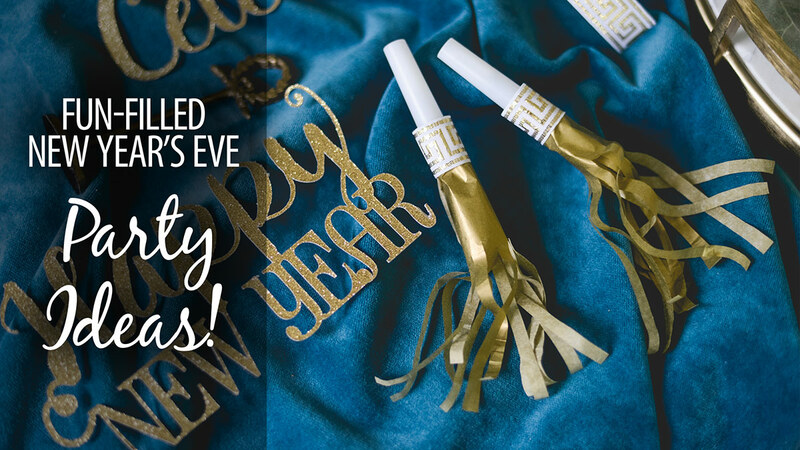 Creative Living: Fun-Filled New Year's Eve Party Ideas! Emily Carter is Senior Copy Editor at Annie's Publishing. She learned to crochet in 2010 and to knit in 2015, thanks to the kindness and generosity of co-workers. Working for a craft publishing company, she's constantly surrounded by creativity and talent, and it inspired her to learn crafting. A yarnie at heart, she favors crochet and knitting but has played around with cross stitching and jewelry making. She wants to try her hand at sewing, too, and is currently in the market for a sewing machine. When she's not crafting, she's planning her next world travel expedition with her friends. In fact, one of the things on her ever-growing bucket list is to cover every page of her passport with stamps! 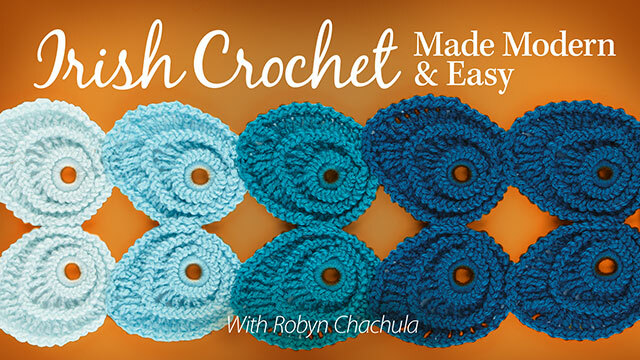 Robyn Chachula's path to her successful crochet design career began in architectural engineering. She pursued a career as a structural engineer specializing in historic preservation and renovation. 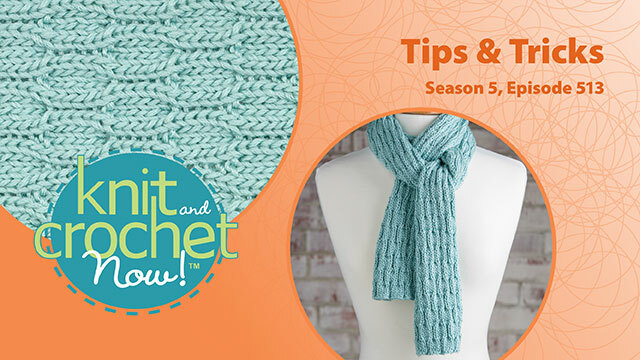 Robyn has been a crochet expert on Annie's Knit and Crochet Now! television program, which appears on many PBS stations. 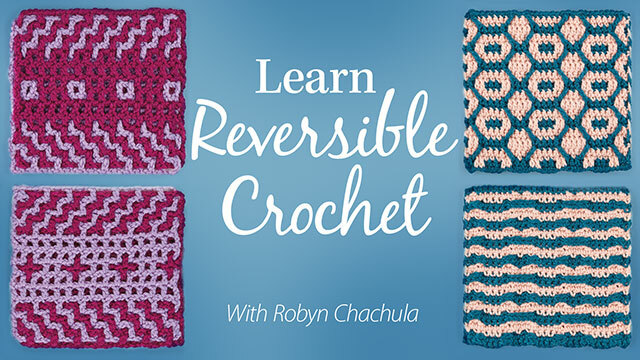 She is also the instructor of Annie's Learn to Crochet Sweaters, Learn Yarn Substitutions for Crochet and Learn to Crochet Jewelry video classes and author of several books. You can find more of her designs at AnniesCatalog.com and www.CrochetByFaye.com. Christine Conner is the managing partner and creative force behind Amelie Scott Designs. 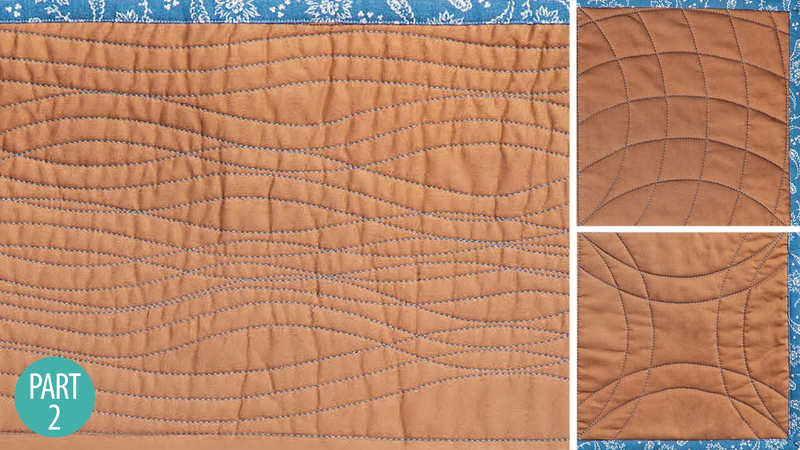 Amelie Scott Designs is a family business that creates quilt patterns and embroidery designs. 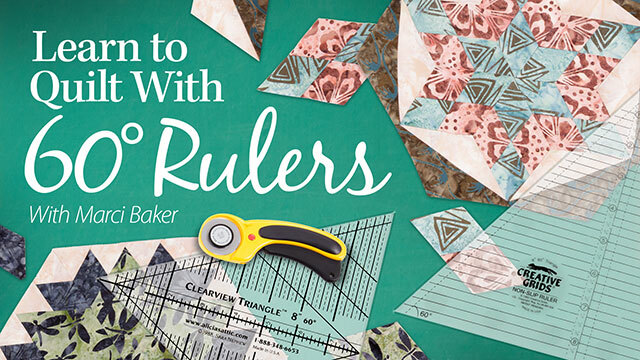 Their patterns feature interesting design elements, and they introduce tools and techniques that are useful for any quilter. Christine also enjoys teaching sewing, quilting and embroidery classes at her local quilt shop and at stores across the nation. 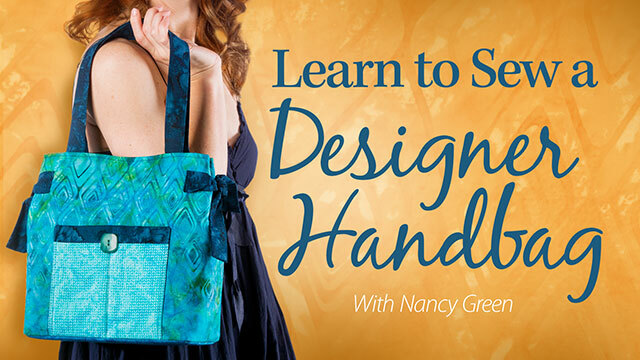 Her goal is to give you, the customer, clearly written patterns and great designs. 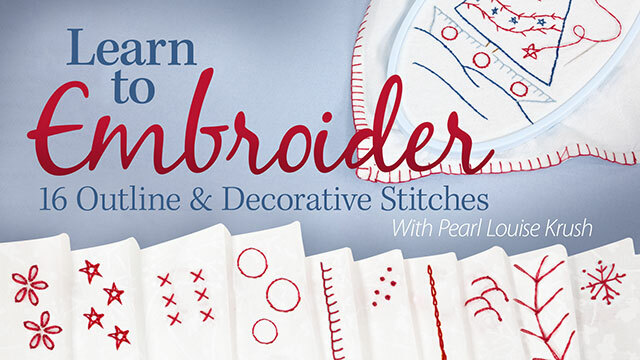 Amelie Scott Designs has published two machine embroidery books, Edge-to-Edge Quilting With Your Embroidery Machine and Celebrate Machine Embroidery, and has produced multiple machine embroidery designs and quilting expansion packs. 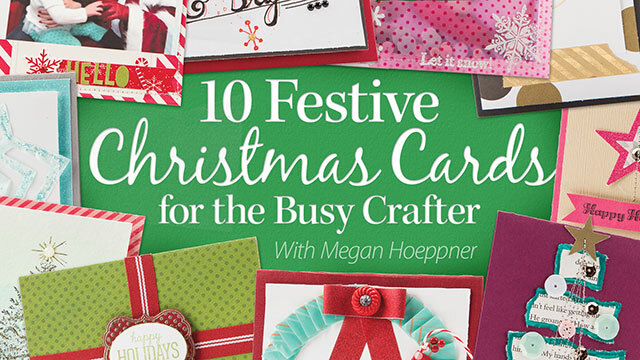 She's a successful blogger, author, designer and multi-talented crafter. 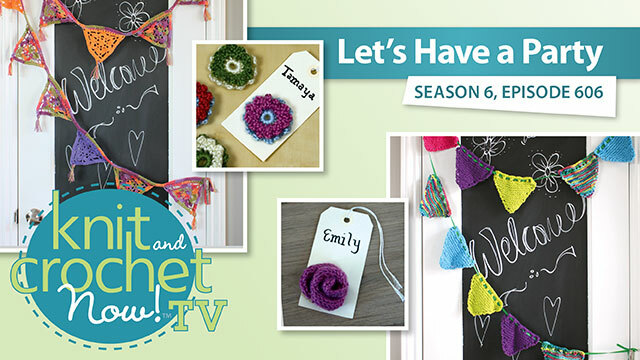 She joins the team of experts on Knit and Crochet Now! for season 8. 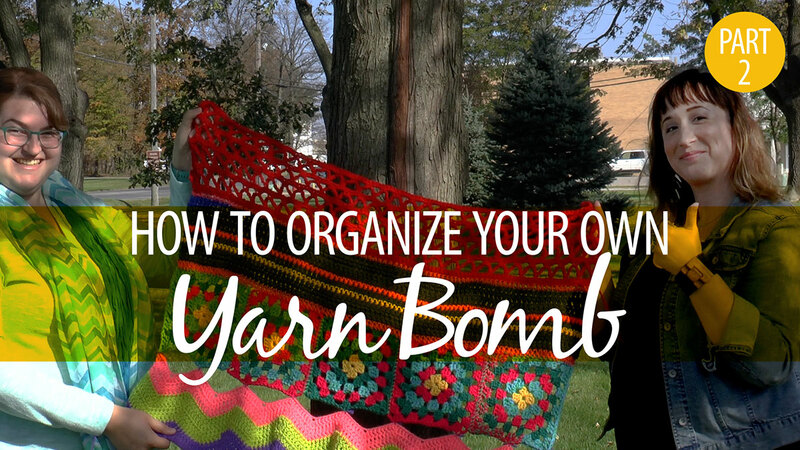 She is a self-taught knitter with a little help from YouTube. She learned crochet and embroidery soon after. For more on her work, visit www.onesocialgirl.com. Discovering Copic® markers in 2010 was a life-changing experience for artist Jennifer Dove who calls herself "a heavy-equipment operator by trade but an artist by nature." 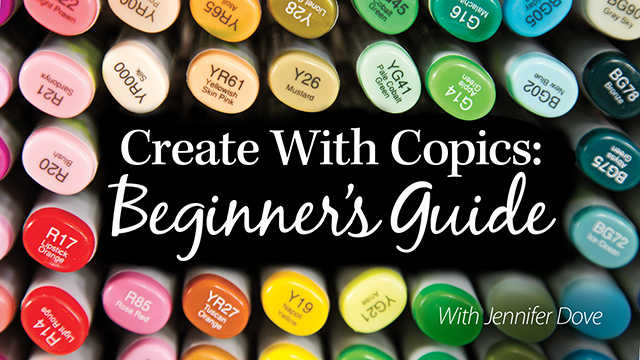 Jennifer has earned two levels of Copic certification and teaches many classes in stores and retreats across the country. 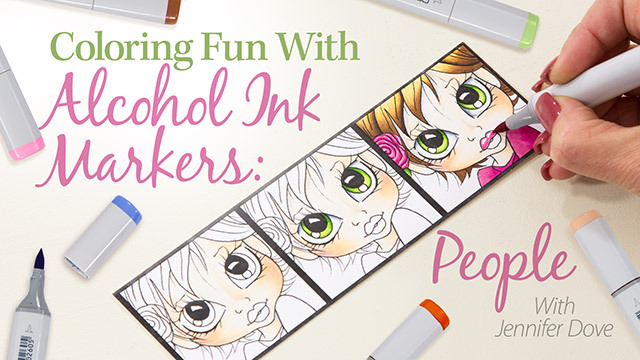 She is the instructor of two Annie's online classes: Create With Copics: Beginner's Guide and Coloring Fun With Alcohol Ink Markers: People. Jennifer has designed for many well-known stamp companies including Stampendous!, Talk About Impressions, Make It Crafty and Doodle Dragon Studios. See more of her work at www.just4funcrafts.blogspot.com. 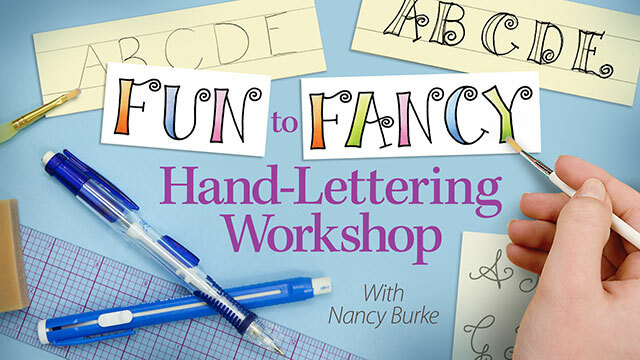 Sherry Duncan has an amazing wealth of craft knowledge. 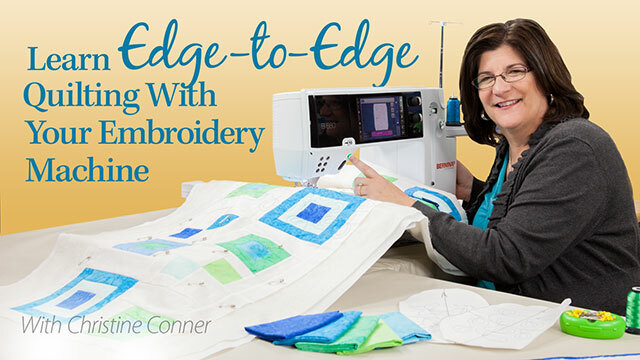 She not only brings experience and passion for quilting and sewing to the Annie's team and clients, but also an understanding of practical techniques in knit and crochet. 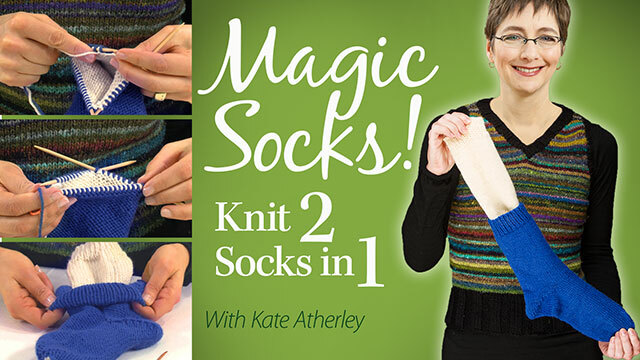 She has published two knitting patterns. Sherry began crafting as a teen. She started sewing vinyl tire covers using an old Singer sewing machine. This led to quilting and other kinds of sewing. After taking classes and learning wherever she could, she upgraded her machine to a Pfaff 1471, which she still uses today. Her husband came to love her sewing habits when she started sewing insulated coats for him. Those warm coats were perfect for all his outdoor activities. Sherry has designed her own line of antique-looking dolls which required her to delve into decorative painting. From there she kept learning new techniques and crafts -- needlepoint canvas, needlework, embroidery, knitting, spinning, leather crafting, paper crafting and all other kinds of crafting. She considers herself lucky to spend all day in the crafting world! She looks forward to continuing to learn and develop her skills and depth. Drew Emborsky, (aka The Crochet Dude) is one of a few proud dude crocheters who is making a living doing what he loves. Drew joined Knit and Crochet Now! for three seasons. 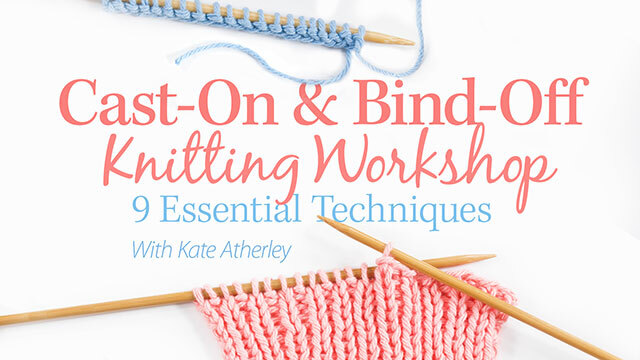 He provided a unique perspective of expert advice, creative patterns and useful tips to help build the knowledge needed to create exciting knitting and crochet projects. See more of his work at www.thecrochetdude.com. 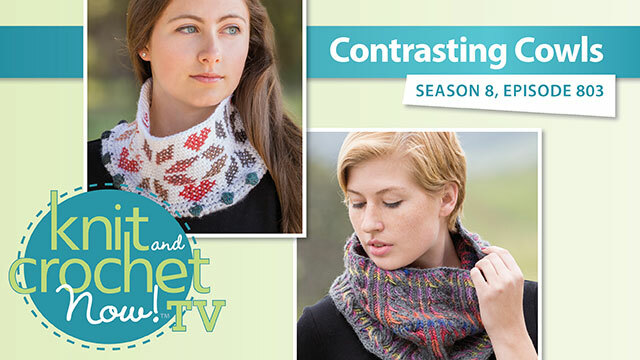 Corrina is the Editor of Creative Knitting magazine and owner of Picnicknits. 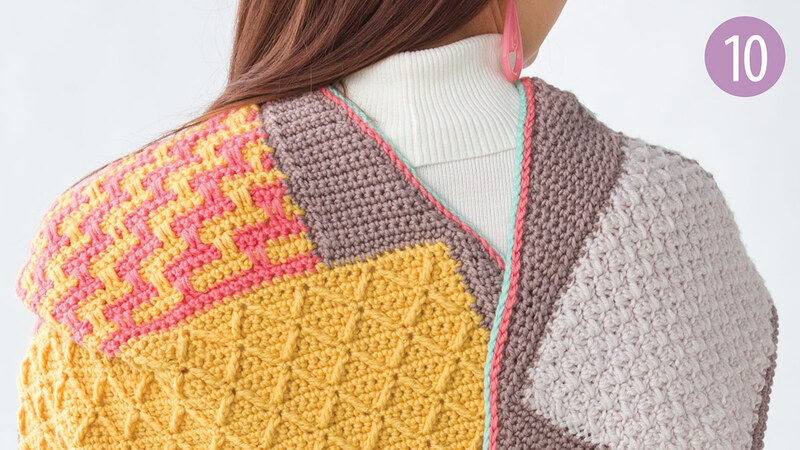 She learned to crochet as a teenager, but didn't cross over into knitting until 2005 when she decided 60 degrees was cold and subsequently moved to Florida. 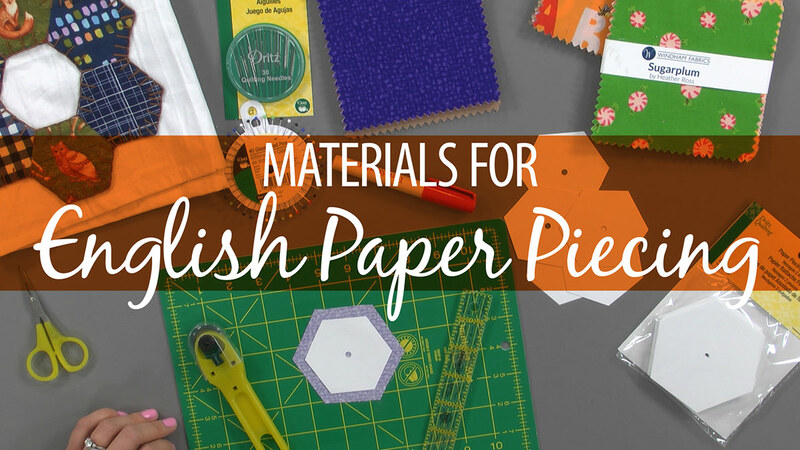 Before that, Corrina used paper crafts and scrapbooking as her creative outlet. Now, after 200 published designs and one book, Corrina is a knitwear designer, editor and an instructor for Annie's Creative Studio. Currently, Corrina is learning to sew in between all of her motherhood responsibilities and designer demands! 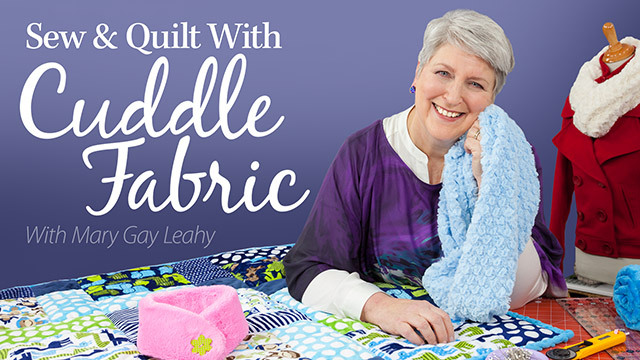 Mary Gay Leahy has been a quilter since 1975. She worked for Cranston Print Works right after college. 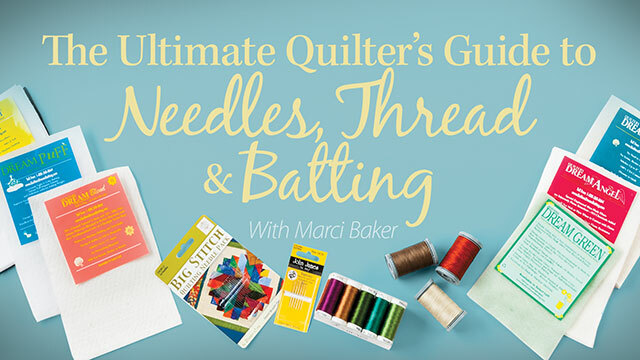 Over the course of her career, she worked, taught and designed quilt patterns for the Country Quilter in Somers, N.Y., and was the marketing manager at Fairfield Processing (the batting company). Today she is a sales representative for multiple fabric companies, including Shannon Fabrics. 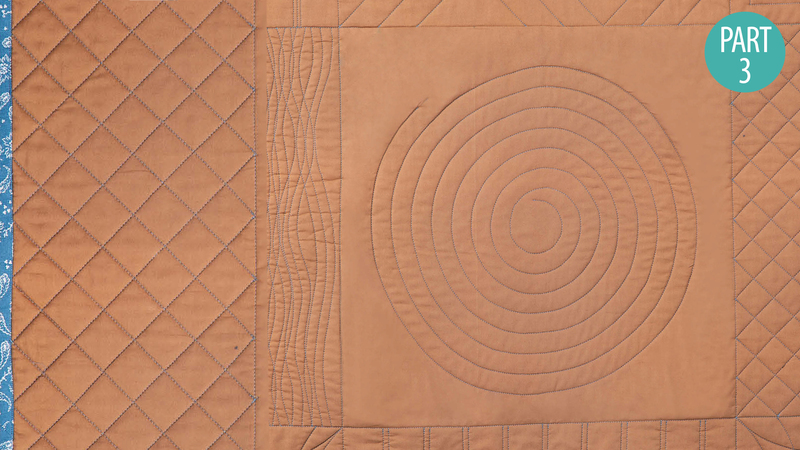 Throughout her career, Mary has been in every aspect of the wonderful business of quilting. Carolynn Geesaman is a photo stylist with Country Sampler magazine. 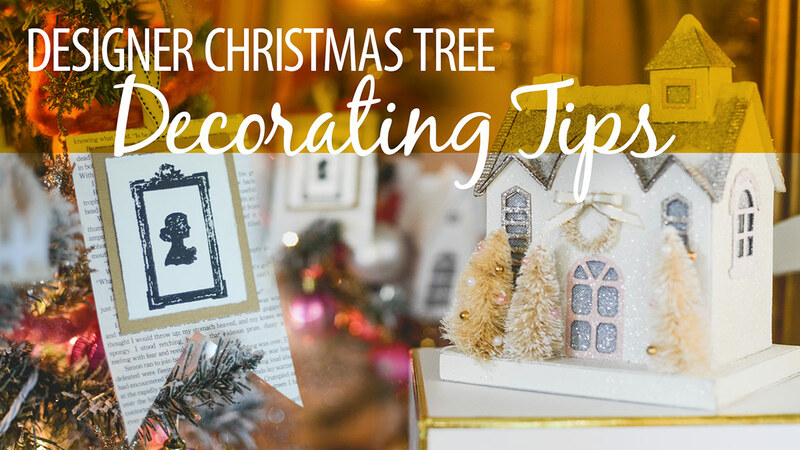 Her love of decorating on a shoestring is a lifelong passion, especially as a homemaker raising her family for 20 years. 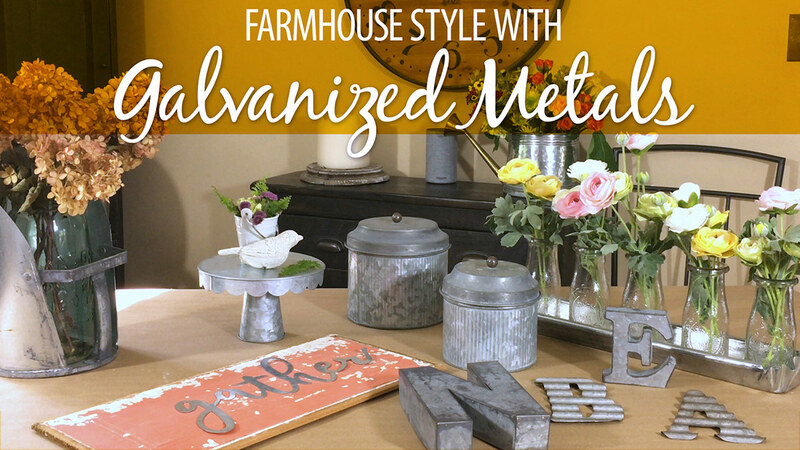 Carolynn loves the challenge of finding new life in old pieces, and she repurposes interesting and everyday items into creative ideas for her home, for the magazine and for videos. She loves to use old scales which she finds at auctions, flea markets and antique shops, and has a special fondness for vintage cameras, which she uses in her decorating style at home. As a self-taught interior designer, Carolynn credits her eye for design as a gift from God. Ellen Gormley's design career began in 2004. She stitched more than 80 afghans before becoming a full-time designer. 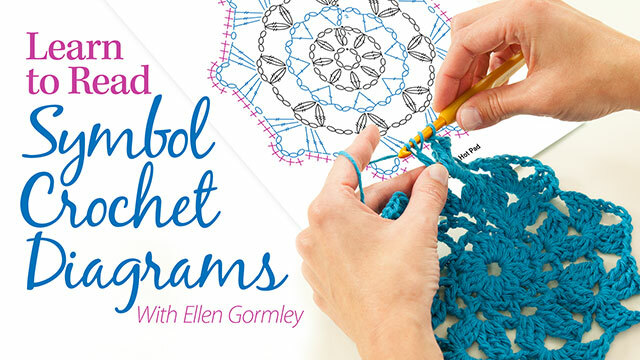 Within the crochet community, Ellen is particularly well-known for her stylish bead crochet and join-as-you-go crochet and motif designs. Today she has more than 250 designs including garments, bags and accessories and home decor. 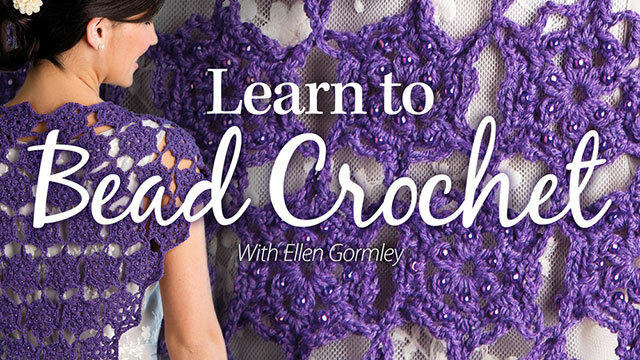 Ellen's original projects have been published in numerous crochet magazines, and she has written two books. 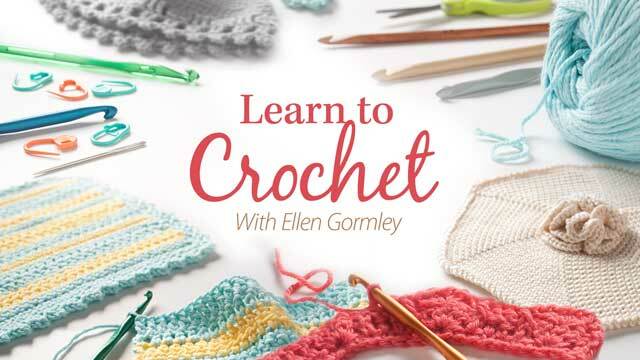 She is instructor of several successful Annie's online classes: Learn to Crochet, Learn to Join Crochet Motifs, Granny Squares: From Simple to Sensational, Learn to Crochet Lace, Learn to Read Symbol Crochet Diagrams and Learn to Bead Crochet. Kara is a graduate of Parsons School of Design and holds a Bachelor of Fine Arts in illustration. As an illustrator, she specialized in technical illustrations for knitting, crochet and other craft books for major publishers. 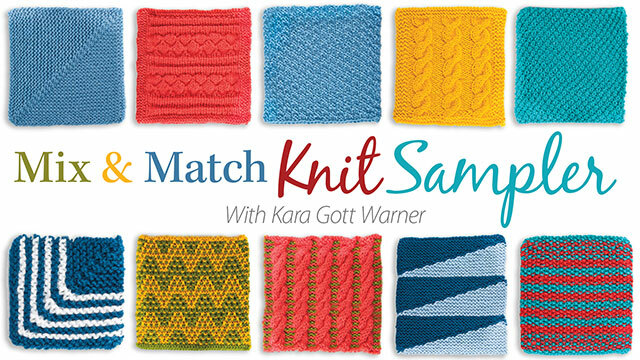 In 2002, Kara began designing patterns for her independent collection of knitting patterns. 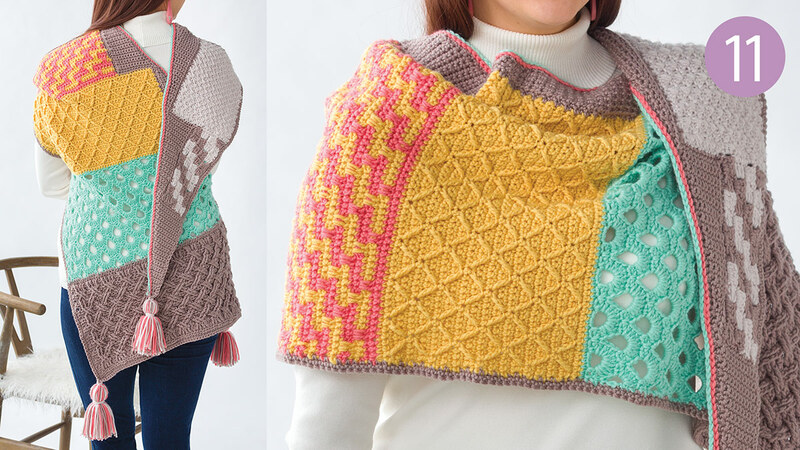 Kara's knitwear designs have been published in Creative Knitting, Interweave Knits, Vogue Knitting and Family Circle Easy Knitting. 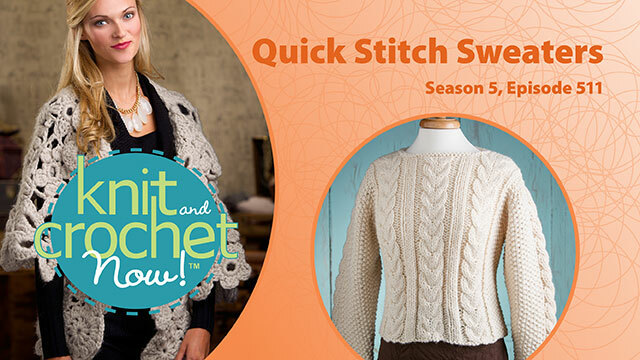 She is instructor of Annies popular knitting class, Mix & Match Knit Sampler. Rene Haines is a Country Sampler photo stylist whose career as a decorator has evolved over time. Her passion for repurposing and recreating serves her well in her current position where she arranges displays, decorates homes for the magazine and originates unique design ideas. Rene especially loves finding vintage pieces and turning them into creative home accents. 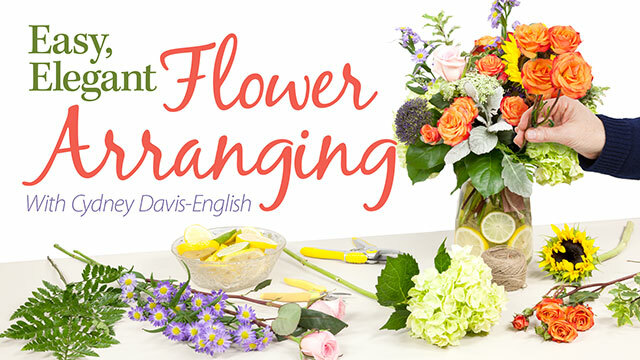 She taught high school science for 11 years before moving into the design field as a florist which sparked a love for creating and designing. Knitting became a career for Carri Hammett when she opened her yarn shop Coldwater Collaborative in 2002. 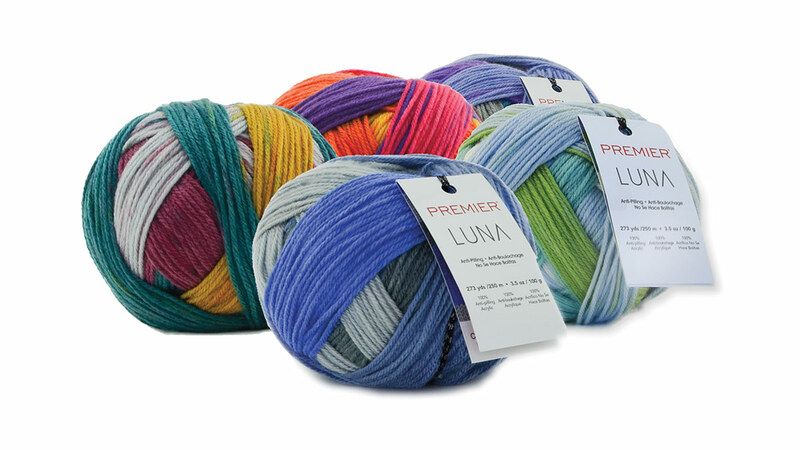 Being surrounded by gorgeous yarn and working as a retailer inspired her to begin designing for her customers. 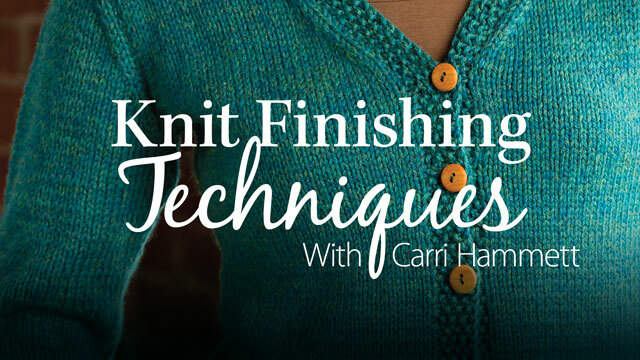 Since selling her yarn shop in 2010, Carri has worked full-time as a knitting writer and designer. 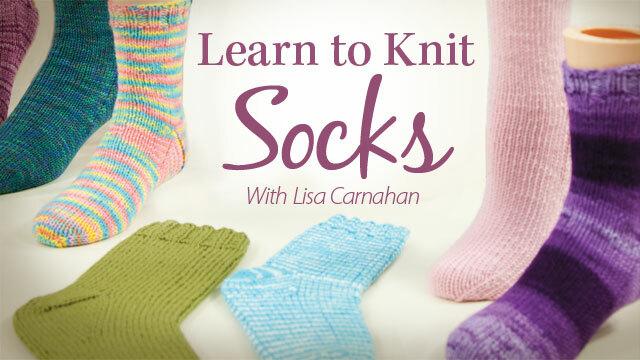 She has written numerous articles for Creative Knitting magazine and a number of books including More Than a Dozen Hats and Beanies, Knitting 101, and Mittens and Hats for Yarn Lovers. Tabetha Hedrick, a freelance knitwear designer and writer raising a family in Colorado, lives by the belief that joy comes when fully participating in the present moment. And that joy is ever so easy to find when immersed in the world of fiber! 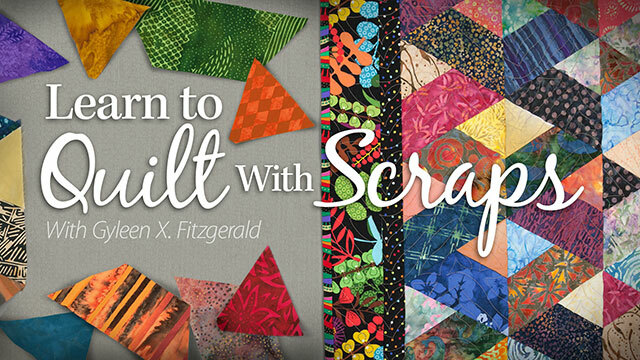 Her work has been published in numerous digital and print magazines, books, and yarn company pattern collections. 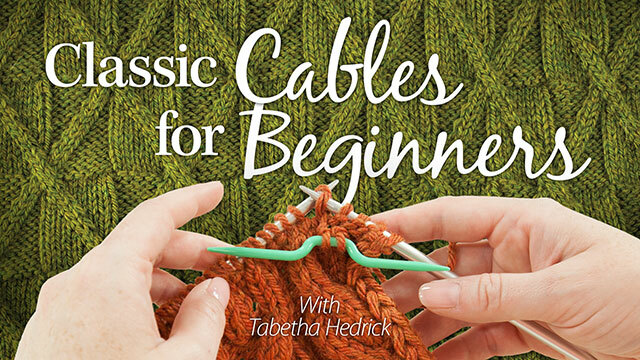 Tabetha's indie patterns and portfolio, blog, and teaching schedule can be found on her website, www.TabethaHedrick.com. Megan's crafting adventure began the day Stampin' Up! hired her to work in their public relations department more than a decade ago, where she quickly fell in love with stamps and paper arts. 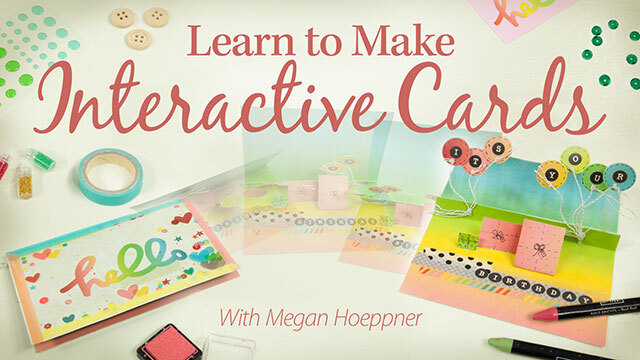 From there, her career progressed to include publishing as an associate editor for Paper Crafts & Scrapbooking magazine, a senior editor for Simple Scrapbooks magazine, and a creative editor for Creating Keepsakes magazine. Currently, Megan puts her writing and editing abilities to use as a copy editor for Scrapbook & Cards Today magazine. For more about Megan, she invites you to visit her website, www.MeganHoeppner.com. 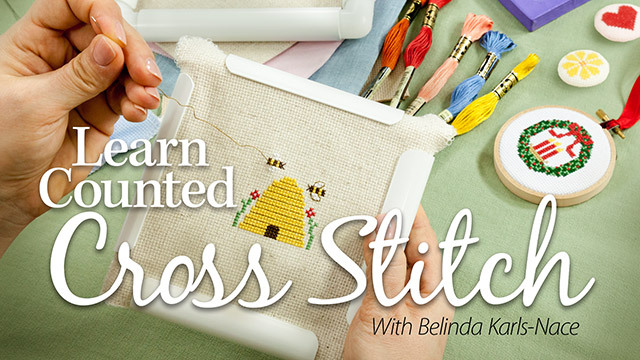 Beth Huntington is a kindergarten teacher by day and popular blogger by night, known as the "Renegade Seamstress." At first, necessity made her shop at thrift stores. Over time, that necessity grew into genuine excitement -- a frequent treasure hunt! 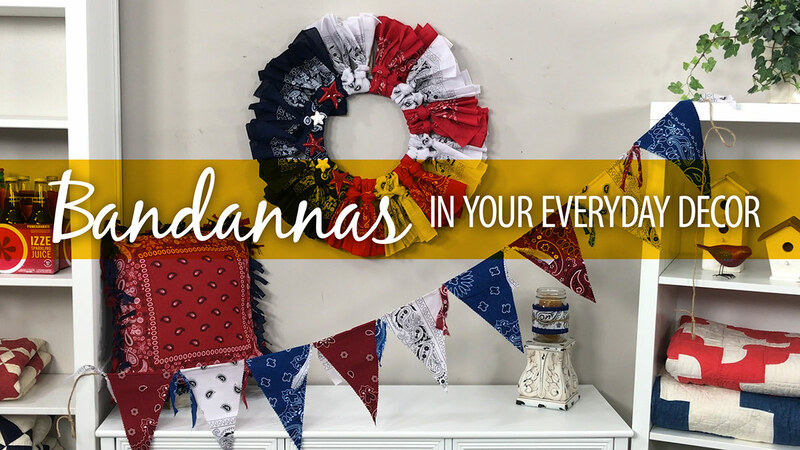 Her passion for shopping at thrift stores and turning discarded items into new and useful gifts and home decor, and then taking before and after photos of her creations, led her to start her blog, www.renegadeseamstress.com. Her blog lets her share glimpses of her own world while connecting with creative types around the globe. 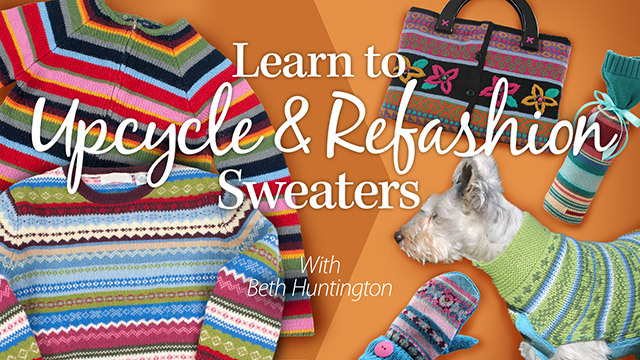 The success of her blog led her to author the book, The Refashion Handbook: Refit, Redesign, Remake for Every Body. Beth says, "I get such a rush when I walk through the doors of a thrift shop. It's exhilarating just thinking about all the possibilities, the treasures and the deals!" 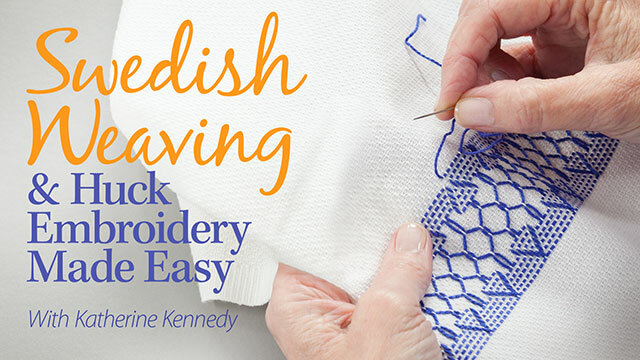 Katherine's special is Swedish weaving, also called huck embroidery. Her designs have a bit of a contemporary flare to them yet maintain a traditional look similar to those from the 1930s and '40s. Soon after discovering this craft, Katherine began selling hand-stitched items at shows and in local Scandinavian shops. She also started teaching, and it was her students who really encouraged her to look into publishing patterns. Just over a year later, her first book Easy-Does-It Swedish Weave Towels was published. Katherine now has a full line of chartpacks and kits that are distributed worldwide at her website www.SwedishWeaveDesigns.com. 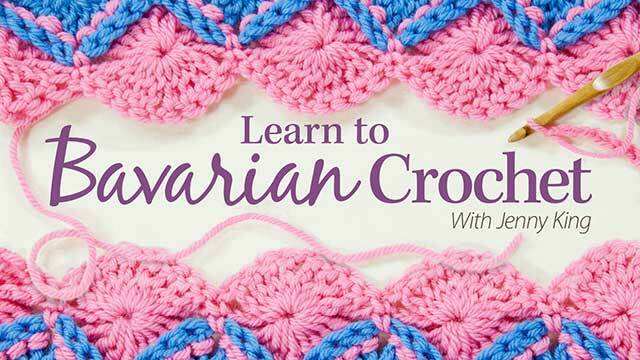 Jenny King is Australia's most published international crochet designer, with more than a dozen books to her name. Jenny is an enthusiastic teacher with 30 years' experience both in Australia and the United States. 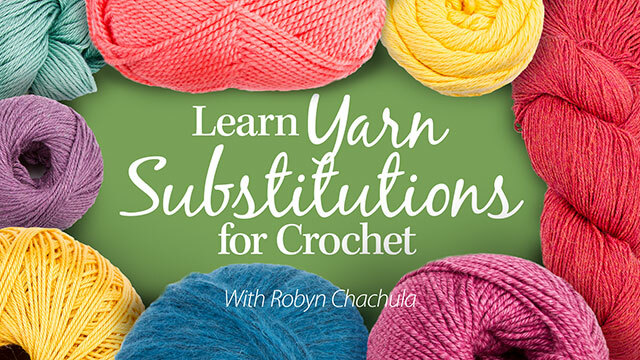 She teaches Master Crochet classes for Crochet Guild of America conferences as well as at other conferences and local yarn shops. She has had designs published in major magazines in the U.K., United States and Australia. 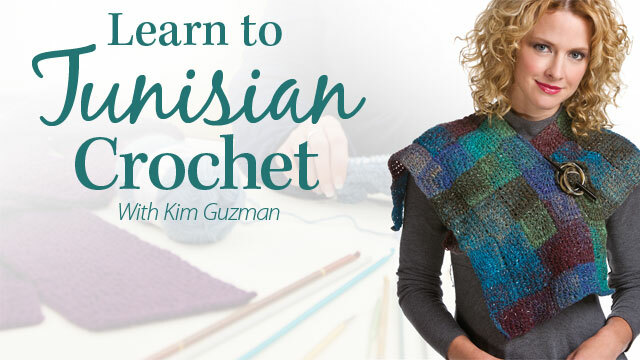 Her latest Annie's books include Fashions to Flaunt Crocheted With Noro Yarns, Learn to do Bavarian Crochet and Bavarian Crochet on-the-Go. See more of her work at www.JennyKingDesigns.com. Kathy Orta King is known across the country as "The Paper Phenomenon" for her amazing projects and innovative paper-crafting techniques, such as the secret compartment and hidden hinge system which she teaches in the Lullaby Memories Keepsake Box & Album class. 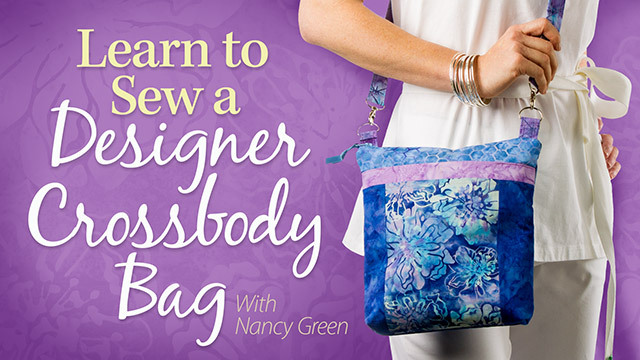 Kathy is an experienced teacher, educator and creative inspiration. 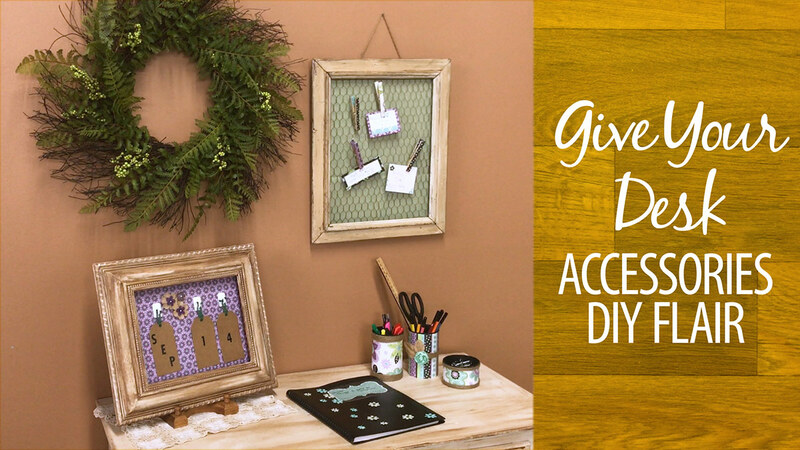 Kathy has the pleasure of designing for Cricut, by Provo Craft, for shows and TV events, for Tim Holtz's various show booths at CHA and, most recently, Annie's Online Classes. You can see Kathy's work on her website, Paper Phenomenon, at www.paperphenomenon.blogspot.com. Kathy Lashley is a left-handed crochet designer based in Alabama. She credits her seventh-grade teacher with teaching her how to crochet and says she had no idea what a significant impact it would have on her life. 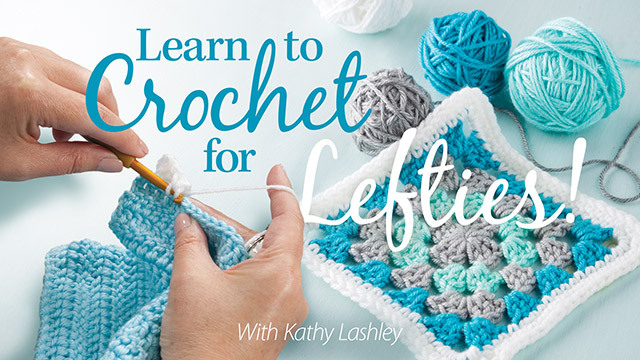 Kathy’s love of designing beautiful and useful crochet items led her to form ELK Studio in 2012 and take her beloved hobby to a professional level. 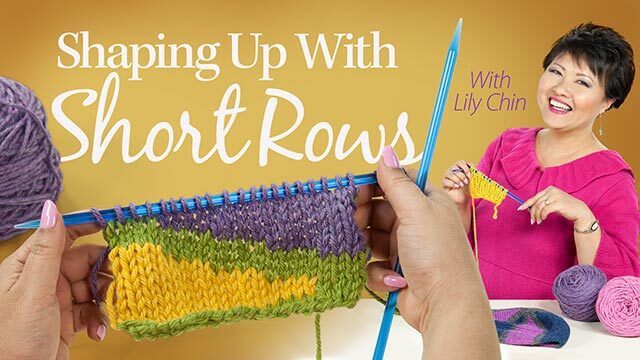 She has a loyal following on her blog and Facebook page as she creates elegant crochet designs and leads her followers in charity projects, CALs (crochetalongs), and business-building activities. 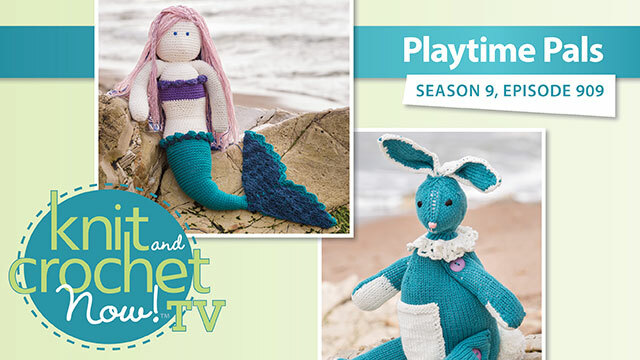 She has self-published over 85 designs, and one of her designs was recently included in the summer 2016 issue of Crochet! magazine. 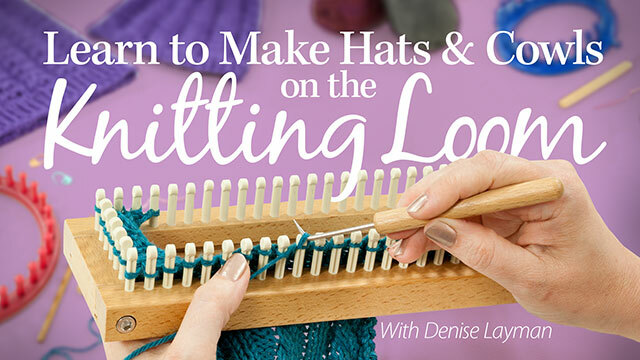 Denise has been designing patterns for knitting looms for seven years. 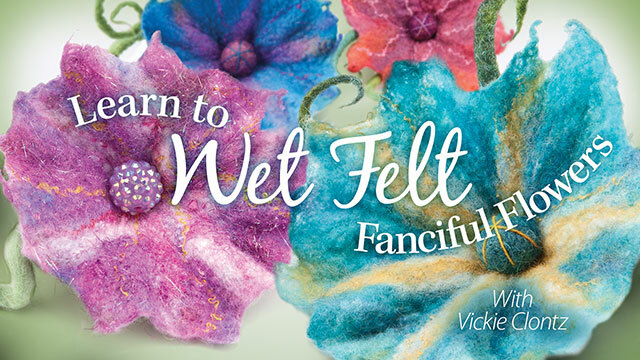 She is also the author of Learn to Knit on Circle Looms published by American School of Needlework and is a featured crafter in Craft Corps: Celebrating the Creative Community One Story at a Time, by Vickie Howell. More of Denise's loom knitting designs can also be found in Annie's pattern books, How to Knit Fashionable Scarves on Circle Looms and Knit Caps on Circle Looms. More of Denise's designs can also be found in the Loom Knitting Pattern Book, and on her blog: Knitting Without Needles, www.KnitChat.com.